Please see the Astronomy Calendar for more information. 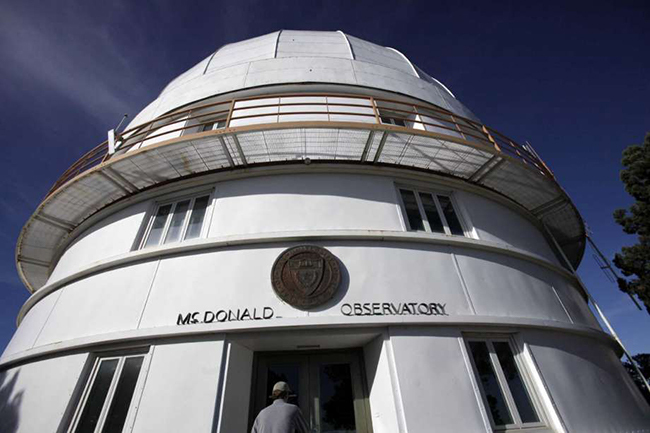 A new scientific facility is under construction on the grounds of The University of Texas at Austin’s McDonald Observatory that will help scientists better understand Earth and could help minimize the effects of geohazards such as earthquakes, volcanic eruptions, sea level changes and landslides. more.. 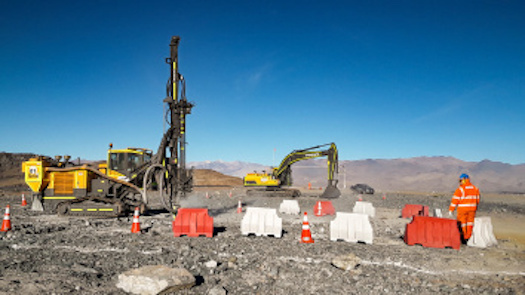 The University of Texas at Austin’s McDonald Observatory today shared in announcing the start of hard rock excavation for the Giant Magellan Telescope’s (GMT’s) massive concrete pier and the foundations for the telescope’s enclosure on its site at Las Campanas Observatory in Chile. 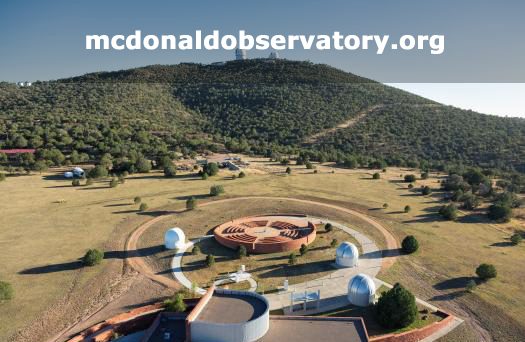 McDonald Observatory is a founding partner of the international collaboration building the GMT, which will be the world’s largest telescope when completed in the next decade. 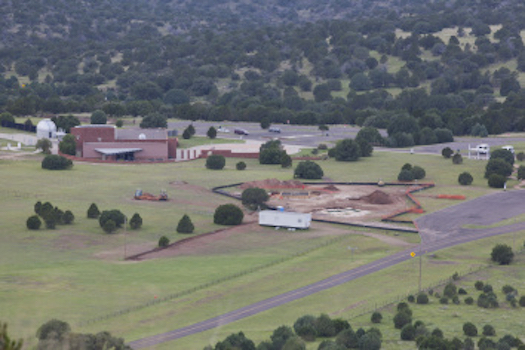 more..
FORT DAVIS, Texas — The University of Texas at Austin's McDonald Observatory has collaborated with the Permian Basin Petroleum Association (PBPA) and the Texas Oil and Gas Association (TXOGA) to reduce light shining into the sky from drilling rigs and related activities in West Texas. The excess light has the potential to drown out the light from stars and galaxies, and threatens to reduce the effectiveness of the observatory's research telescopes to study the mysteries of the universe. 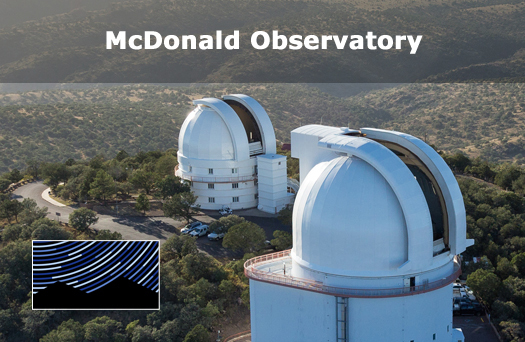 more..
McDonald Observatory in West Texas welcomes the public with star parties, tours, exhibits, talks, special programs, and continuing education for teachers. Join us! in the beautiful Davis Mountains under some of the darkest skies in the continental United States. 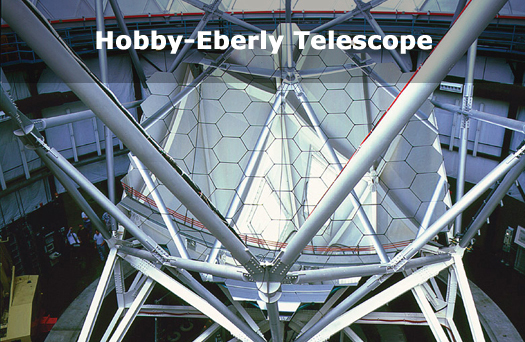 The Hobby-Eberly Telescope Dark Energy Experiment will look back in time billions of years, and sample nearly one million galaxies, to map the expansion rate of the early universe. Learn more at hetdex.org. 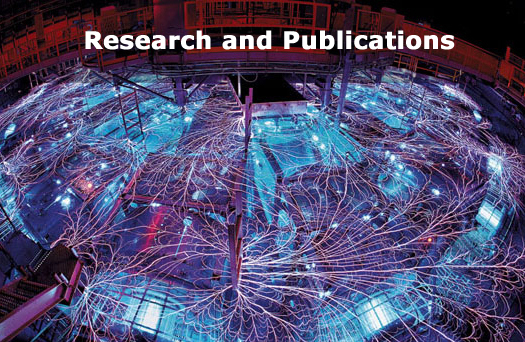 The University of Texas at Austin is a founding member of the consortium to build the world's largest ground based telescope at Las Campanas Observatory in La Serena, Chile. Construction is well under way. Learn more..